October (up to $100,000). Be sure to look for this sticker when purchasing OXO products. 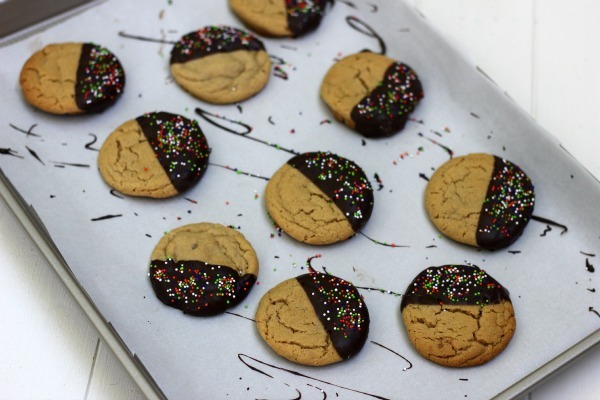 and sprinkles - now that's a perfect cookie combination! 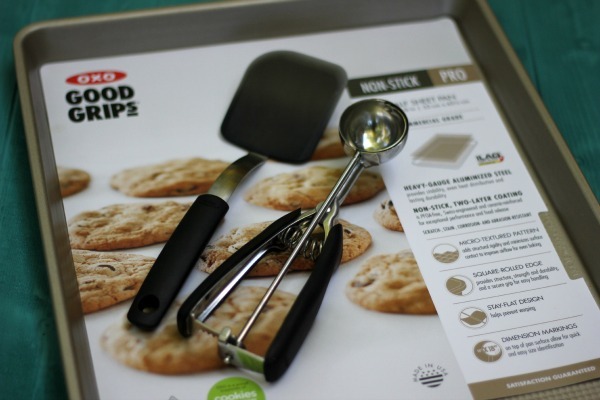 The OXO cookie spatula is the perfect size for my cookies! combined. Add sugars and beat until fluffy. Add egg and vanilla. scoop drop dough onto the prepared baking sheet. sheet for 5 minutes before moving them to a cooling rack. sprinkles. 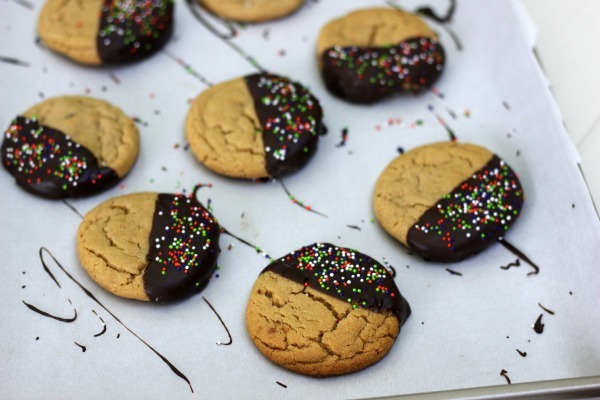 Once chocolate has set cookies are ready to be served. always all opinions are my own. Cookies for Kids' Cancer is a recognized 501c(3) public charity duly incorporated under the laws of the state of New Jersey. Your donations are tax deductible to the fullest extent allowable by law. 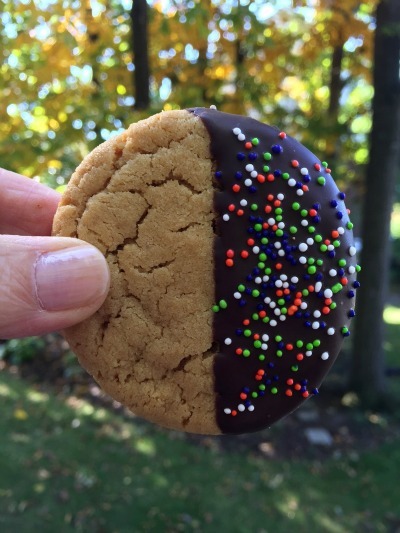 100% of proceeds raised by Cookies for Kids' Cancer fund pediatric cancer research. 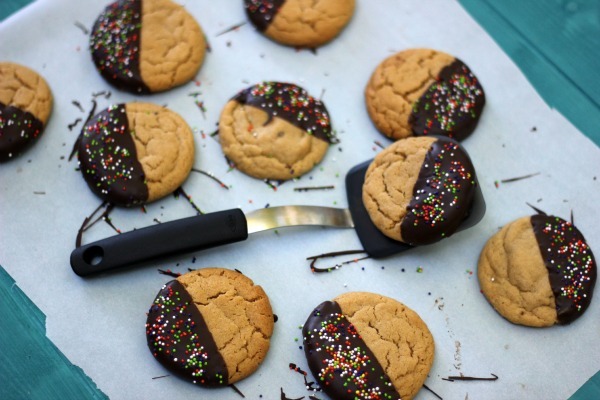 In 2015, OXO will donate up to $100,000 to Cookies for Kids' Cancer through product proceeds, bake sale matches and other fundraising efforts.